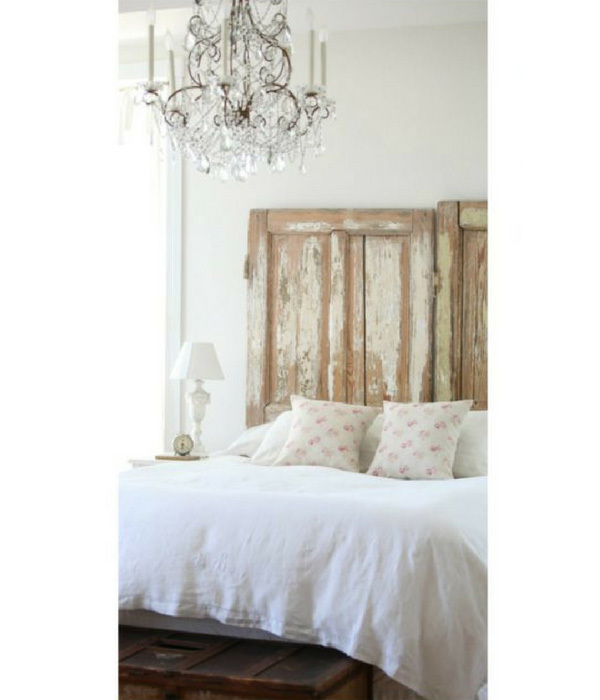 And the best interior websites to shop the country inspired look. 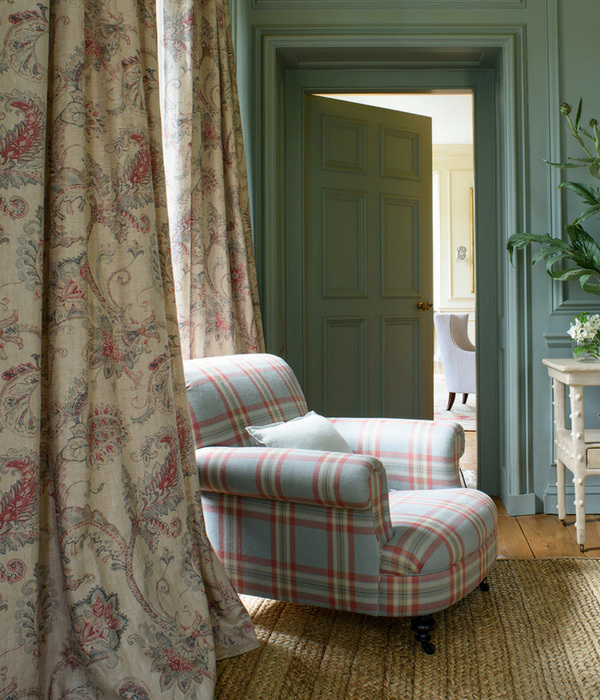 From pretty classics to more contemporary designs, I have picked out key floral patterns perfect for effortlessly replicating English inspired country house interiors. Imaged sourced from Colefax and Fowler. When I think of classic floral patterns, I think of the exquisite hand-painted oriental designs, which often incorporate beautiful representations of peonies, butterflies and birds. Or flowers combined with other elements such as pots and vases, or elegant larger-scale trailing designs. 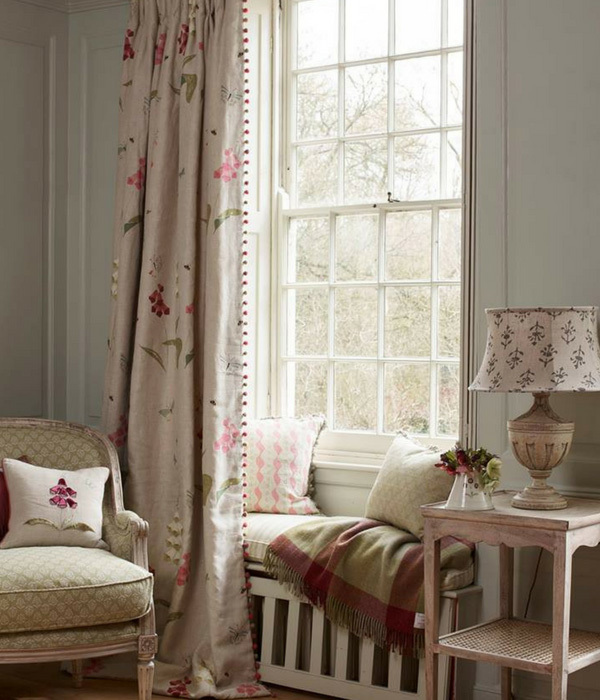 Traditional florals imbue a room with an old country-house feel, which has an associated romantic appeal. There are ways however to bring a little of this quintessentially English style into your own home, even if you don’t live in a grand country estate. Balance these designs with simply styled soft furnishings for a minimalist aesthetic. For example, a bold print on walls could be offset by white washed wooden furniture, or key colours in the pattern can be picked out and echoed with accessories to create a harmonious, ordered feel. Image sourced from Susie Watson. From Cath Kidston’s signature Kingswood rose pattern to Susie Watson’s pretty, detailed Foxgloves and Moonflowers, which have a nostalgic charm, small-scale patterns bring warmth and cheer to any room. Flowers in bud or sprigged designs offer a fresh, romantic quality. These designs are popular on a wide variety of accessories, from needlepoint rugs and cushions to porcelain tea sets. They are ideal for bringing a softer, feminine touch to a space. Traditionally, small designs would have been relegated to trim or line curtains and blinds. Using them centre stage in a decorating scheme works well in smaller rooms and they’re perfect for cottage-style interiors where full-blown florals could be overbearing. Image sourced from Peony & Sage. Full-blown blooms strewn or trailing across textiles have long been popular in country decorating. Those with a faded or aged tea-stained appearance are easiest to use as they have a soft elegance, which blends easily with other furnishings and makes them less dominant in a room. Large-scale florals in this style work well on wallpaper and curtains. These can be combined with other designs, particularly checks, stripes or simple geometrics.